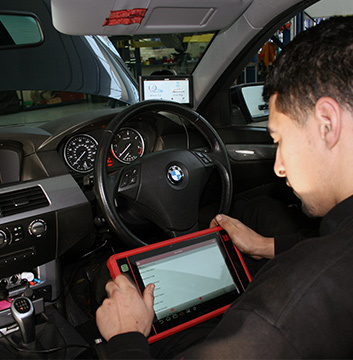 Harpenden Mill Autocare technicians provide a friendly and expert service throughout the Harpenden and St Albans area, offering full vehicle diagnostics for all vehicle types using the very latest diagnostic equipment, identifying faults and rectifying these in a quick and effective manner. Our team of technicians are widely experienced in performing diagnostic vehicle checks on all makes and models, assessing the engine control unit and offering efficient repairs at highly competitive prices. We will take the time to talk through any problems we identify, advising you on the best course of action for finding a solution.